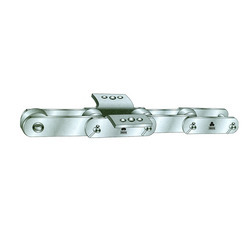 Counted as the renowned manufacturer and supplier, we are involved in offering a wide assortment of Industrial Chains. In compliance with the industry standards, our offered chains are manufactured using superior quality factor inputs under the supervision of our experienced professionals. These chains are widely used for draw benches, cooling tables, bar handling conveyors, billet and tube transfers. The offered chains have gained vast appreciations among our clients for their durability, and resistance to temperature fluctuation. 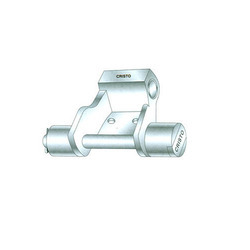 Intermediate Carrier Chain are widely used in the sugar industry. Links have generous sliding surfaces to resist wear. Wear shoes at the open end of the link support the chain and lesson the loads on the pin. Thereby reducing joint wear. Slots cast in the lugs protect the pin ends & prevent pin rotation. Links have outboard lugs for operation on double sprockets to prevent the jamming of bagasse in the link pockets. We are recognized as the leading manufacturer and supplier of a premium quality Crates Conveyor Chain. Our offered chain is manufactured by our highly experienced and skilled team of professionals using high quality raw material and advance technology. This chain is widely used in bottling plants to carry crates and is also used to carry LPG cylinders. The offered chain is tested on various quality parameters before final delivery at the clients end. These chains are widely used in bottling plants to carry crates and are also used to carry LPG cylinders. 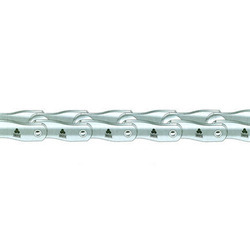 Slat band stainless steel chain is available 31/2", to 61/2". 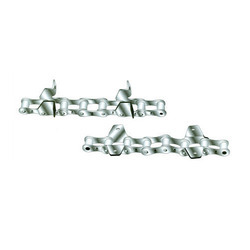 These Forged Links Chain are more suitable against juice corrosion. The links are block type having no roller system. Links have open lugs is the ends for joining next link. This system protect the chain from jamming bagasse in the link pocket. Stainless steel pin bush protect the chain from juice corrosion. Chains are available with the tensile strength upto 20 ton to 80 ton capacity. 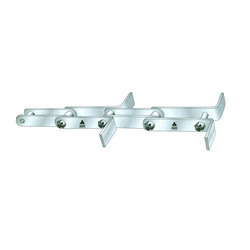 Slats Chain are made from mild steel plates and can be furnished in galvanized, colour or light oiling. 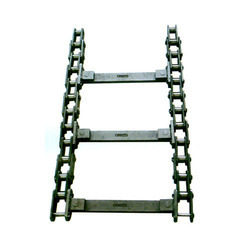 These offered slat chains are widely used in various industries. 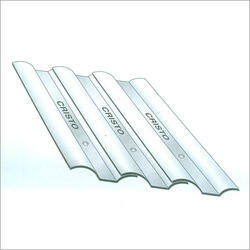 We can met requirements upto 24” to 80” and thickness 4.8 mm to 8 mm. Weight Per Meter of Slat in Kg. Our company is offering a supreme quality Paver Chain. In conformity with the concert of the international quality standards, our offered chain is manufactured using high grade factor inputs and modern technologies. 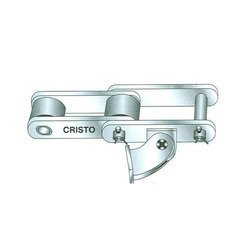 The chain offered by us is also examined under the supervision of our quality controllers to ensure flawlessness. This chain is widely acknowledged among our clients in market for their corrosion resistance, durability and reliability. We are counted as the foremost manufacturer and supplier of optimum grade Redler Chain. Designed & manufactured by our experienced professionals using superior quality raw material and advanced technology, our offered chain is checked by our quality controllers on different parameters. The offered chain is the mostly used for handling of oil seeds grain and other free flowing and non abrasive material. Moreover, our offered chain can be availed by our clients at feasible prices. With wide and rich industrial experience, we are able to offer an excellent quality Solid Pin Chain that is manufactured using optimum grade raw material and leading edge technologies in compliance with the set industry norms. Owing to their salient features, our offered chain is efficiently used in various industries for lifting heavy material. The chain offered by us can be availed by our clients at industry leading prices. 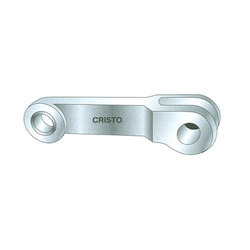 We are the leading manufacturer and supplier of a superior quality Cane Carrier Chain. Our offered chain is manufactured using high grade raw material and cutting-edge technology as per the set industry standards. The offered chain is widely used in sugar industries with several pitches. In order to provide defect-free range at our clients' end, our offered chain is dully tested on various quality parameters as per the set universal norms. With our in-depth knowledge and experience, we are actively engaged in offering a wide gamut of Elevator Chain. The offered chain is manufactured using supreme quality raw material and sophisticated technology under the supervision of our skilled professionals. Our offered chain is used for heavy duty conveyors and elevators. 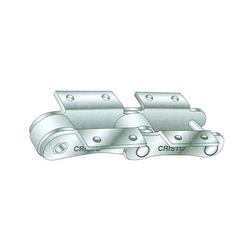 In order to cater to variegated requirements of our clients, we offer this chain in various sizes and dimensions. Backed by a team of skilled professionals, we are offering the finest quality Agricultural Chain. Our offered chains are manufactured using supreme quality raw material and innovative technology under the strict supervision of our adroit professionals. The offered chains find wide application for harvester combines. Apart from this, our offered chains can be availed by our esteemed clients in various specifications at market leading prices. 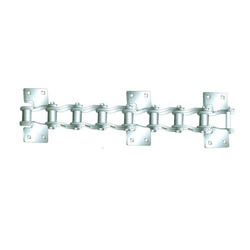 These Bagasse Carrier Chain are recommended for conveying heavy loads of bagasse over long distances. A wide variety of chains are available with tensile strength ranging from 20,000 to 80,000 Kgs as per (IS-8466 : 1990).